A poetry collection by Jordan Scott. 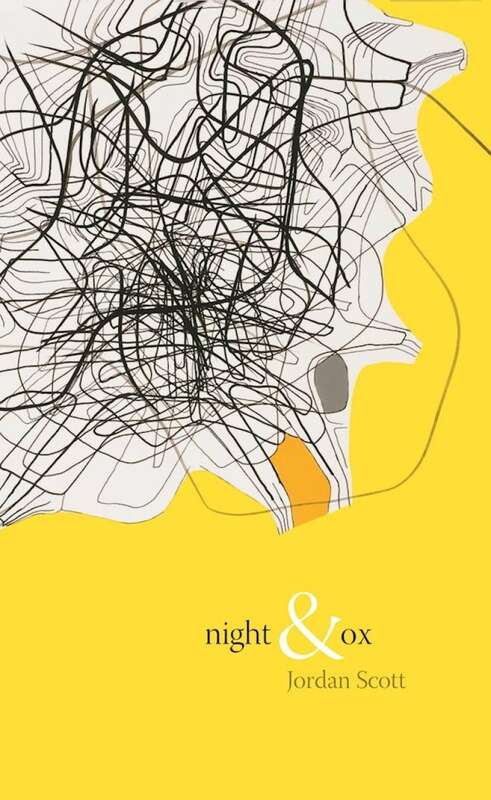 Night & Ox is a long poem working its interruptions to a degree where it's broken by the will to live. A poem that invokes expansive loneliness, where the poet's emotional response is to endure. A crushed line of astral forms and anatomy in perpetual remove; it is a poem that nurtures vulnerability: some soft-footed embryo sounds against language's viscera. Night & Ox possesses a feral minimalism for those too tired and too frantic with joy to cope with narrative. From Night & Ox by Jordan Scott ©2016. Published by Coach House Books.